Halloween is always a fun time of the year…. and we hope yours is a happy and safe one! If after the spooky holiday the split ends, showing roots, and out of control bangs are still scaring you be sure to give us a call. 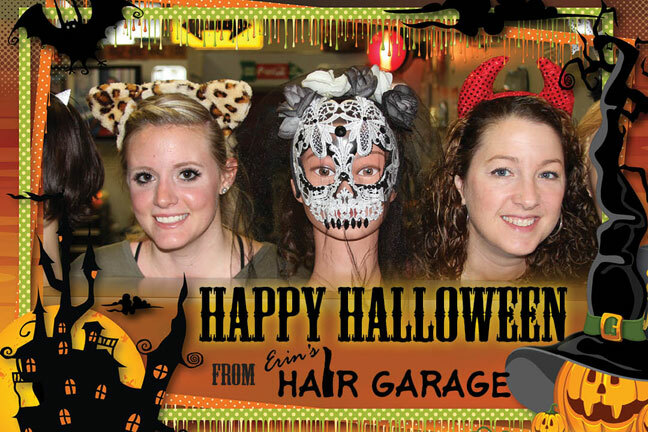 Appointments before the Thanksgiving and Christmas holidays are filling up fast….. so make a trip to the Hair Garage part of your holiday plans. Call 814-273-HAIR (4247) to schedule your “Tune-up” today!